The main river, renowned for its excellent run of migratory fish, offers the visiting and local angler a vast choice of conditions and productive pools in some truly unspoilt natural surroundings. Indeed, the whole Cleddau catchment area has been designated a Site of Scientific Interest (SSSI) and is host to a wide variety of wildlife including otters, kingfishers, herons, duck and dragonfly. 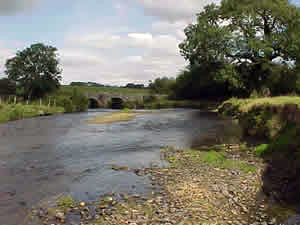 Angling methods include legered worm, artificial lures and fly fishing. Many anglers in particular look forward to the runs of the sewin (Sea Trout) entering the river from early May and providing some outstanding fishing. Each season, specimens approaching (or even over!) double figures are caught along with numerous fish in the 2 to 5lb range. 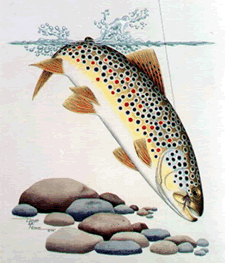 At other times of the season, beautifully marked wild brown trout can provide some excellent sport reaching one and a half pounds. There is always a good chance of catching a salmon, particularly in the latter stages of the season when there is often a good run of grilse. The salmon average 5 to 8lbs but again, specimens of 15lbs plus can be caught! PAA enforces a strict bag limit of four fish per angler per day, but whenever possible encourage anglers to join the growing number of anglers who are returning the majority of their fish to the river. 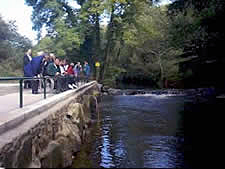 Disabled anglers are especially well catered for with a superb purpose-built pool and fishing platform at our Angling Center in Treffgarne, with easy vehicular access and picnic facilities. Our new well-equipped fishing lodge is also available for organised parties. Contact us for booking enquiries.